Weighty Matters: Guest Post: Taste and Preschoolers: Packing Aesthetics Vs. Big Food Branding? Guest Post: Taste and Preschoolers: Packing Aesthetics Vs. Big Food Branding? 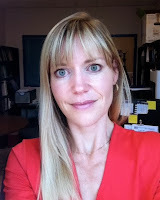 Today's guest post comes from Dr. Charlene Elliott PhD who holds the CIHR Canada Research Chair in Food Marketing, Policy and Children’s Health and an Associate Professor of Communication at the University of Calgary, jointly appointed with the Faculty of Arts and Faculty of Kinesiology. Her areas of research include food promotion and policy, communication and health, children’s food marketing, regulation and obesity. Now, this study makes for great headlines. But it isn’t necessarily great research. It’s hardly surprising that, when given the choice between plain packaging and something decorated, preschoolers like the prettier packaging. Stated differently, the study design fails to capture whether children’s tastes are influenced by the aesthetics of the packaging rather than the branding itself. It also does not reveal whether different types of branding impact children’s tastes. The point was to see whether packaging aesthetics influences children’s taste preferences as much as the branding. By asking preschoolers to also select between McDonald’s and Starbucks (an adult-oriented brand built around coffee), we could make some preliminary observations about the degree to which the McDonald’s brand is actually driving the preschoolers’ selections. Not surprisingly, aesthetics matter, even to very young children. Preschoolers overall thought that the food samples in decorative wrappers “tasted best” compared to plain wrappers—even though the foods were identical. Yet one must be careful not to presume that the preschoolers’ aesthetic preferences are actually brand preferences. 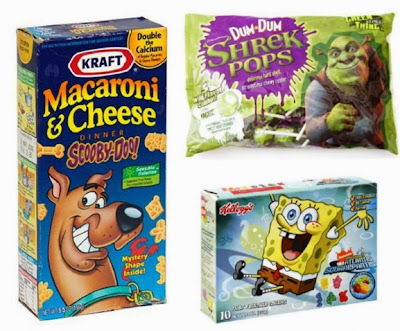 Just like other consumers, children prefer food that comes in decorative wrappings regardless of whether the wrapping is “decorated” with McDonald’s branding, Starbucks branding or multi-colored polka-dots. When choosing between food in McDonald’s branded wrapping and food in plain wrapping, the preschoolers in our study preferred the taste of McDonald's wrapped food (just as the Stanford study reported). However, when choosing between food in McDonald’s branded wrapping and food in a colorful wrapping, or between food in McDonald’s wrapping and food in Starbucks wrapping, children did not indicate a preference for McDonald’s-branded food. Children rely more on aesthetics than on branding when making choices: a colorful wrapper or a wrapper with an unfamiliar logo has equal appeal to a wrapper with a familiar logo. Admittedly, this sounds absurd. What our findings suggest is the need to focus more attention on the important role of packaging in directing children’s food preferences. The Stanford study—and especially its subsequent newspaper coverage—made much of the fact that children preferred the taste of carrots if they thought they were from McDonald’s. Its authors conclude that “specific branding can alter young children’s taste preferences.” Yet when children in our study were given the option of carrots in McDonald’s wrapping or carrots in colorful wrapping, children liked the “colorful” carrots more. Appearance, rather than branding, appears to influence children’s taste preferences. Of course, this conclusion should not be used to argue against recommendations for limiting the commercial promotion of foods to children (I am against advertising to children on ethical grounds). However, when it comes to preschoolers and taste preferences, perhaps more focus should be directed to the wrappings around food—the packaging—rather than the particular brand upon it. Elliott, C, Carruthers Den Hoed R, and Conlon, M (2013). Food branding and young children’s taste preferences: A reassessment. Canadian Journal of Public Health, 104(5). 364-368. Robinson TN, Borzekowski DLG, Matheson DM, Kraemer HC (2007). Effects of fast food branding on young children's taste preferences. Arch Pediatr Adolesc Med.161(8). 792-797.